Community Noticeboard - Understanding and Acting Within Loweswater: A community Approach to Catchment Management, Lancaster University, UK. This page was developed together with people in Loweswater and other LCP participants. It contains information about past LCP meetings and links to the minutes of these meetings, and results from group-work activities carried out between 2007-2010. Since January 2011, the LCP is community led and publicizes its forthcoming events and news on the Melbreak Communities website. A photograph of LCP participants taking part in the last LCP meeting organized and led by the University research team on the 15th of December 2011, taken by Prof. John Macfarlane, can be found here. Groupwork Results, 18th March 2010, "Turning Aspirations into Actions"
Results of the group work for "Getting to know your institutions". 14th LCP Meeting, Thursday 11 November 2010: Loweswater Village Hall, 17.30-21.00: "The LDNPA & its impact on Loweswater". An evening with Bob Cartwright (Dir. of Park Services) and Dave McGowan (Head of Dev. Management) from the LDNPA. 13th LCP Meeting, Tuesday 28 September 2010: Loweswater Village Hall, 17.30-21.00: "Linking Land-Use and Water Quality - Modelling Results and Discussion". 12th LCP Meeting, Monday 7th June 2010: Loweswater Village Hall, 17.30-21.00: "LCP's Small Projects - Understanding and Acting Continued". 11th LCP Meeting, Monday 17th May 2010: Loweswater Village Hall, 17.30-21.00: "LCP's Small Projects - Reporting Back". 10th LCP Meeting, Thursday 18th March 2010: Loweswater Village Hall, 17.30-21.00: "Turning Aspirations into Actions" - working out aims and objectives for Loweswater that can be achieved together with institutions with a remit in Loweswater. 9th LCP Meeting, Wednesday 21st November 2010: Loweswater Village Hall, 17.30-21.00: "Reporting Back: Agriculture and Environment in the Loweswater Catchment". 8th LCP Meeting, Thursday, 10th September 2009: Loweswater Village Hall, 17.30-21.00. "LCP Generated Research - Exploring the Proposals" & "LCP Achievements - where we are at". 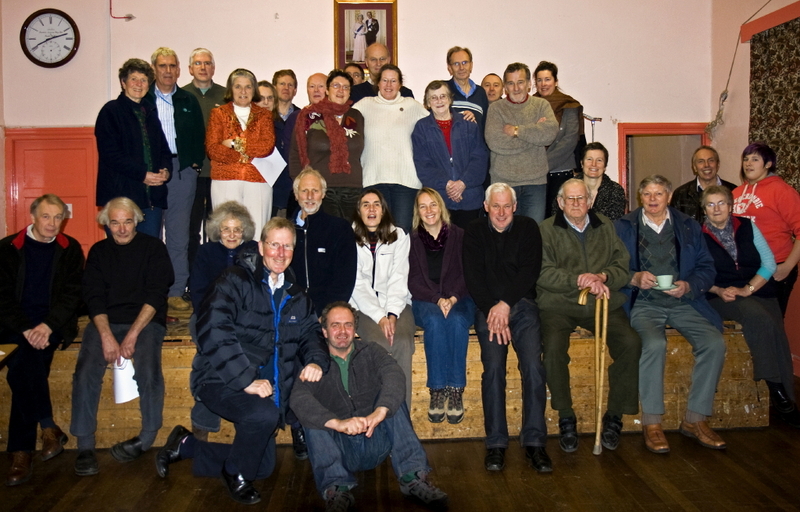 7th LCP Meeting, Tuesday, 14th July 2009: Loweswater Village Hall, 17.30-21.00 "Get to know your institutions" evening with representatives from the Parish Council, National Trust, Environment Agency, Lake District National Park Authority, Natural England, Cumbria Farmers Network, Untited Utilities, and National Farmers Union. Winning bids for RELU funding for small research projects announced. 6th LCP Meeting, Tuesday, 12th May 2009: Loweswater Village Hall, 17.30-21.00. Talk by Dr. Linda May, CEH, "Septic tanks as sources of nutrient pollution to freshwaters". 5th LCP Meeting, Wednesday 25th March 2009: Loweswater Village Hall, 17.30-21.00. Talk by Chris Robinson (EA) "River Maintenance - Changes in Policy". 1st LCP Meeting, Wednesday 18th June 2008: Loweswater Village Hall, 5.30 – 8.30 pm.